Welcome back ! Learning to do proper makeup is an art , but then there are tricks to it. And a flawless makeup always need a setting spray ,as said, to Seal The Deal ! Today I will be reviewing the Wet n Wild Photofocus Natural Finish Setting Spray – Seal The Deal or shortly – WnW dewy setting spray. Also , this is my very first setting spray! Contains Aloe Vera to Hydrate Skin. It comes in a plastic bottle with greyish transparent lid. It has a white nozzle spray . The bottle seems very sturdy and doesn’t look cheap. Also very travel friendly. The nozzle spray is easy to use and it doesn’t spray the product unevenly. Instead, it sprays it evenly all over the face . It doesn’t smell that good , nothing bad either . Smells something like alcohol. Nothing strong though. Well, it gives the perfect dewy finish on your face. It helps in melting all the powder product and mix in with your skin properly. It looks like your skin, but much better. It did help me in lasting my makeup all day long ! Read Also :Glamaroma Rose Gold Facial Glow Mist – Review. Yes , I am definitely buying this again! Yes , only to normal to dry skin people . If you are a beginner , and off course other makeup setting sprays are expensive , you should definitely try this one ! Helps in long lasting makeup. That was all for this post ! I hope you all like it. 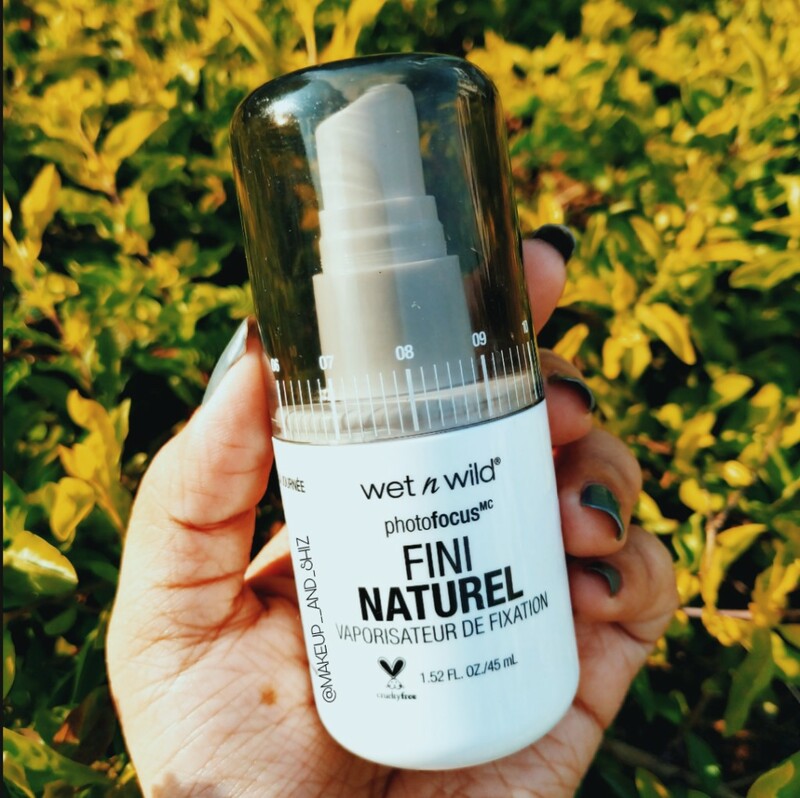 Have you tried anything from Wetnwild ? If yes, comment down and let me know ! Previous Ryaal Make Me Glow Revitalizing Face Mask– Review . Next Innisfree Green Tea Seed Serum- Review, India. Can I use this if I have oily skin and prefer dewy finish. I mean will it work as a setting spray or move my makeup away?? Yeah. You can try. It won’t remove your makeup. Since oily skin, it will be very dewy. Why does the bottle say Fini Naturel and not Natural Finish? I have received a similar package on online purchase. Concerned whether it is genuine. Please help. Also tell where did you buy it from? This is authentic . The photo in the pic. I have two bottles. One from Nykaa and other one from Flipkart. Both look same.